A warehouse is a vital part in a company, and an efficient warehouse leads to success. A quick search around the internet led to pinpoint several common warehouse problems. These problems have been grouped in a graphic that shows which are the most frequent. Many of these problems are solved, or easened, with our Indoor Tracking Solutions. We need to understand exactly what problems our customers face, and how we can solve them. It makes no sense to present solutions that the customer is not willing to implement. One needs to go to the field to ask, and mainly, to listen to our customers, learning how we can make this happen. Our solutions must help our customers to solve their problems. 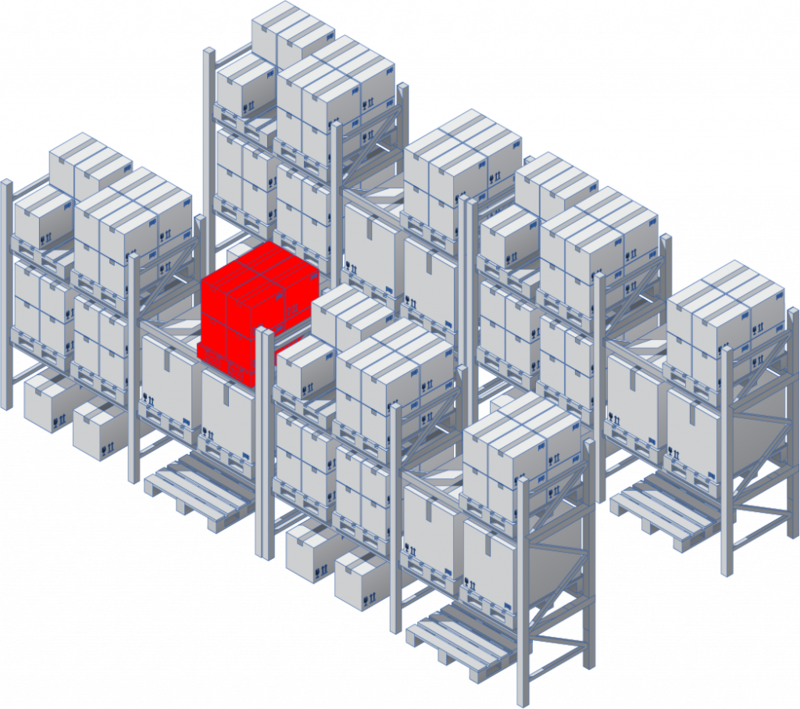 Imagine a common situation where you have a full warehouse and you need to move around warehouse pallets. The easiest way to address this problem is storing temporarily a pallet in a accessible shelf. Now imagine that this happens to 4, 5, or 10 pallets. You have misplaced pallets that will be hard to find. Not finding the pallets at all. Many times I heard the customers saying that the workers have an idea where the pallet is. The inneficiency in this process is so great that every time a pallet isn’t immediatelly found the customer is wasting time, resources and ultimately money. This process might even take days. With an affordable price per square meter of storage area, our solution can identify exactly where your pallet is, using a tracker with a battery long enough to help you know where you have all your inventory. With this data you can improve your warehouse efficiency. We track your pallet in 3D, providing you with latitude, longitude and altitude. This information is mapped in specific warehouse coding, providing you information, such as “Corridor AZ Shelf 4 2”. The picking process is one of the most important tasks that will impact the time needed to dispatch an order. Optimizing this process will improve directly the warehouse process efficiency. In a warehouse you’re required to pick an entire pallet, or just a unit from that pallet. For all of this scenarios we have partened with PickToLight Systems. Interfacing with their system, we provide visual information about the picking process, thus increasing the warehouse efficiency. 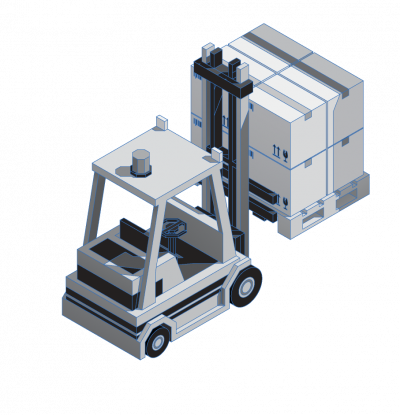 We can track the worker, or the lift, and inform to which corridor he should proceed, optimizing the route. Information of which palette he should pick, or even how many units from that shelf he should pick is sent to the worker. The system will automatically know where are the goods that he needs, even if they were relocated. This is all about optimizing processes and being efficient. Dealing with fragile goods require extra attention. The warehouse can dispatch orders where there are defective goods due to warehouse movements and environmental conditions. We can track your pallets, but we can also provide you with additional information about the pallet. Data collection about movement, shock, temperature, humidity is performed. The amount of data collected will be enough to analyse your entire process, and optimize it. There are 2 types of information provided by the system: realtime and historic data. The realtime data provides quick information to help the warehouse to react efficiently and fullfill the operations quickly. It also provides valuable information to help the operations to adapt quickly to changes, when reorganizing the warehouse for a new season. The historic information is very valuable if the customer wants to understand what is happening in the warehouse and in the dailly operation. You can have information about the worker efficiency or the worker awareness when operating with fragile cargo. 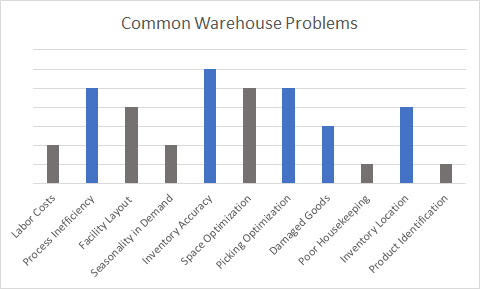 This data can also be used to optimize the warehouse layout to create a more efficient process. There are no easy ways to make a warehouse efficient, but there are tools that can be adapted to each and every warehouse to help collecting data and providing information about daily operations. You cannot change an entire warehouse operation without downfalls, but you can slowly adapt to improve these operations. If you need additional information please contact us and we will give you feedback about our products and how we can help you.